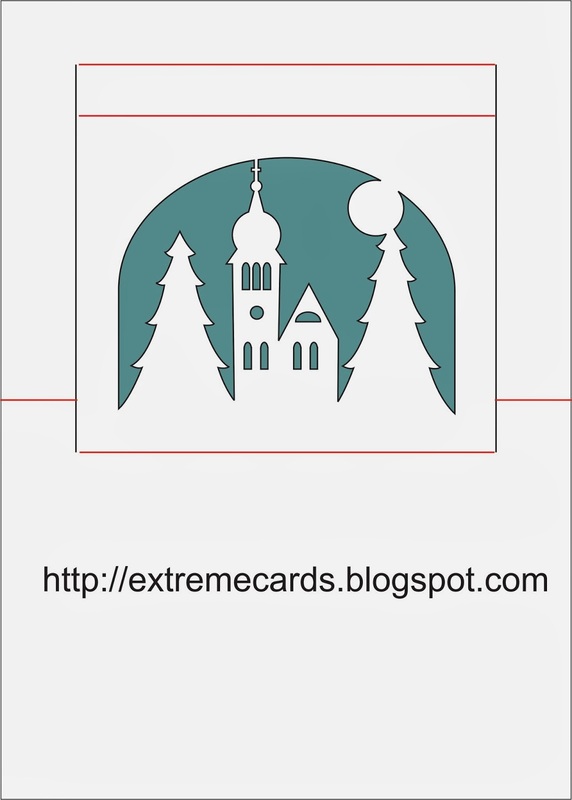 I haven't cut this pop up Christmas card design, which features a church and evergreens (yet), so no pictures of the finished card! Here's a picture of the cut file, however. 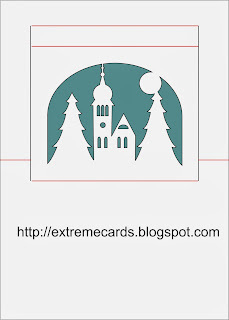 It is similar to this window pop up card. Cut and assemble following directions here: ornament pop up card.